Summary: Designed to be simple to set up it is easily inflated with the air pump it comes with, fill it with water and switch on letting the heater warm up the water to the desired temperature. 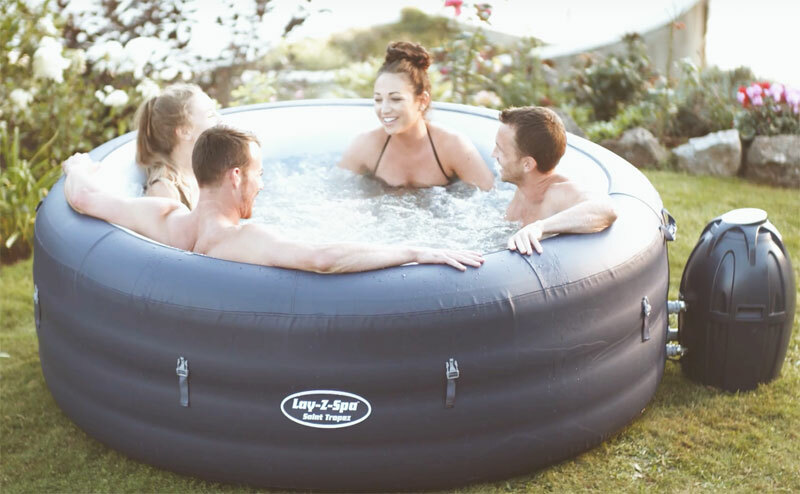 New for 2017 in the UK is the Lay-Z-Spa Saint Tropez Hot Tub. 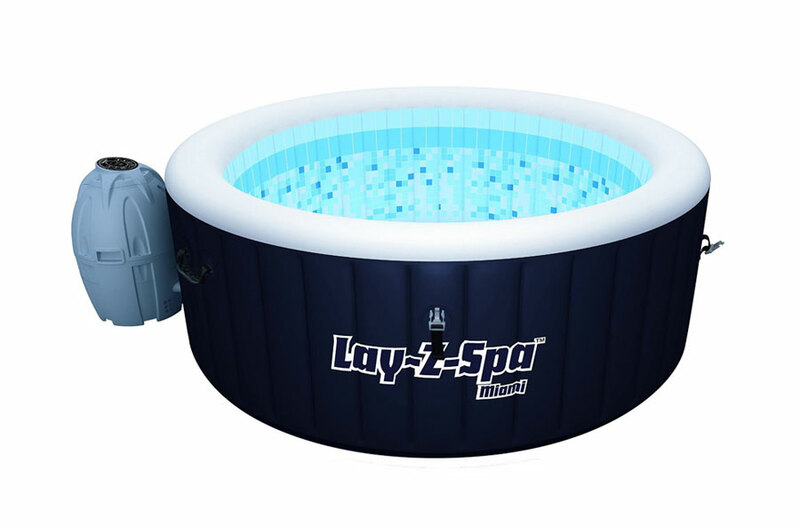 This is a 4-6 person inflatable hot tub spa that is of similar design and specification to the Lay-Z-Spa Vegas. This new model is the same size at 196cm wide and has the same 87 air jets too. The Lay-Z-Spa Saint Tropez comes with a new pump and heating system allowing you to set the pump to come on in advance so it is ready for you to use when you come back from work. 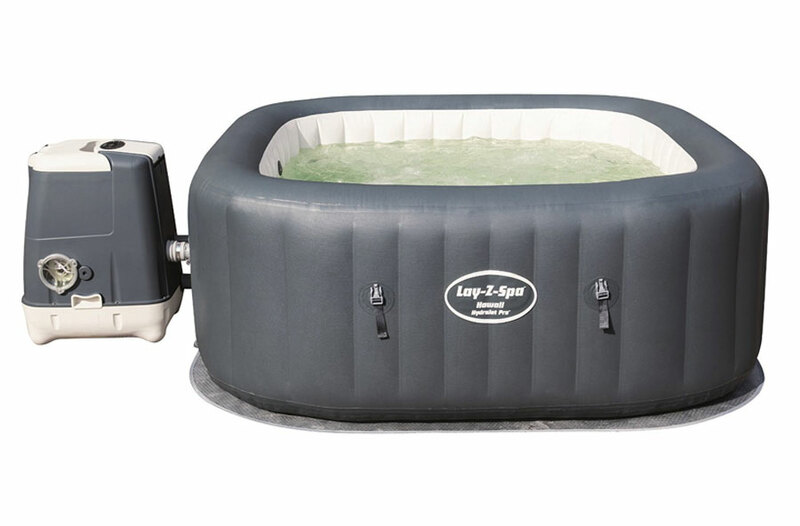 As with most inflatable spas it is quick and easy to set up, there are no special tools needed or special tradesmen to come out and install, the Lay-Z-Spa Saint Tropez Hot Tub comes with a free dvd that shows hoe to set up, as well as easy to follow printed instructions. It comes in a dark blue outer coloured ring with a clean white interior that makes the water look very inviting. This video below show the spa in action and outlines the size, details and how it works. These spas are extremely easy to set up and come with a step by step DVD too making it even easier if you are struggling. The big difference between the new Lay-Z-Spa Saint Tropez and the older Vegas model is the included LED light that comes with this now. 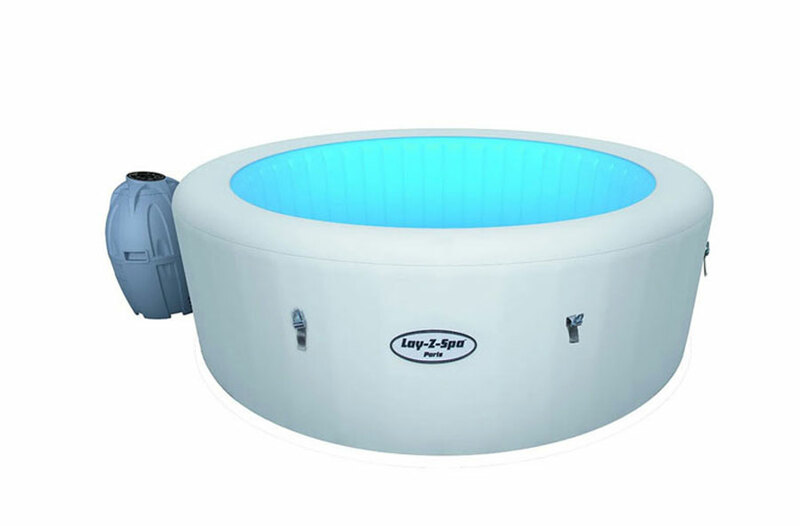 With the Lay-Z-Spa Saint Tropez you can a floating LED light that has 4 different colours, it is separate to the spa and doesn’t have any wires coming out if it. It floats in the water crating a nice mood lighting for a romantic night in or a evening party with friends. There are 87 air jets dotted around the spa creating relaxing and soothing bubbles, this can be turned on or off via the pump control system. This hot tub also comes with a 1 year warranty too. 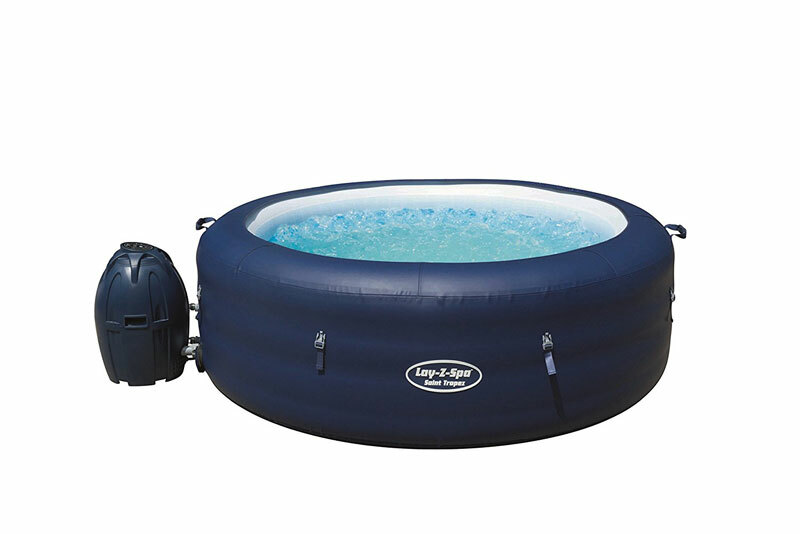 This is a good all rounder and certainly one of the best inflatable hot tubs and ideal for 4-6 people. This is a good choice for all, the LED floating light makes it fun for kids and can create a party mood for parties, or a romantic setting for couples. 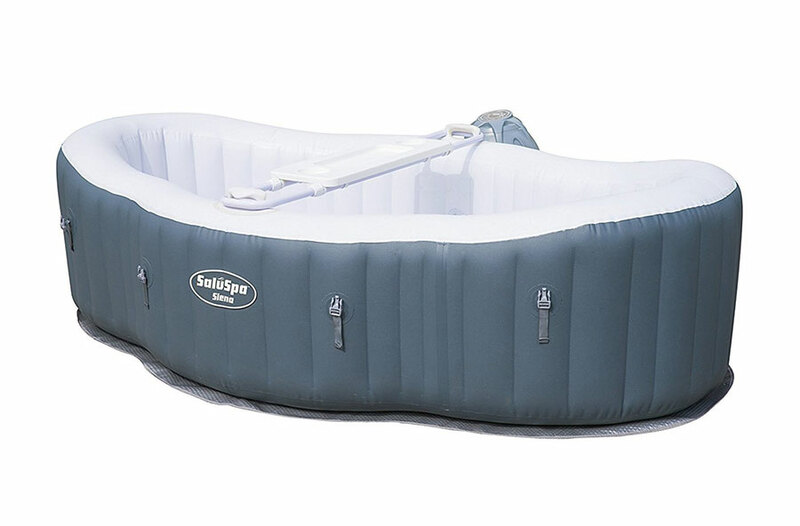 If you are looking for your first inflatable hot tub then this is a great choice, it is well priced, well built and comes with everything you need to get you rallying and enjoying it in now time at all. I bought the Saint Tropez spa and the bottom section will not inflate. 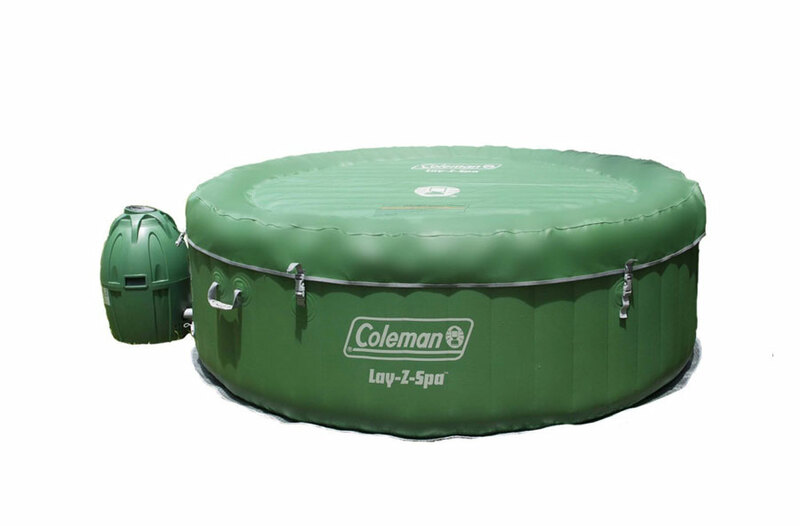 Supplier told me not to worry and just inflate the top part of the spa. Is this right. I’d rather send it back. Has anyone else come across this? Hi I have just brought it and bottom does not inflate, but says in listing its foam filled for comfort so not inflatable.